Can you blame me though? How else would you expect me to react to the news of a menu item- nay, a menu treasure - such as "Two MASSIVE KFC Original Recipes fillets used as sandwich buns, sandwiching bacon and cheese, with a slathering of mayonnaise", being removed from the menu? 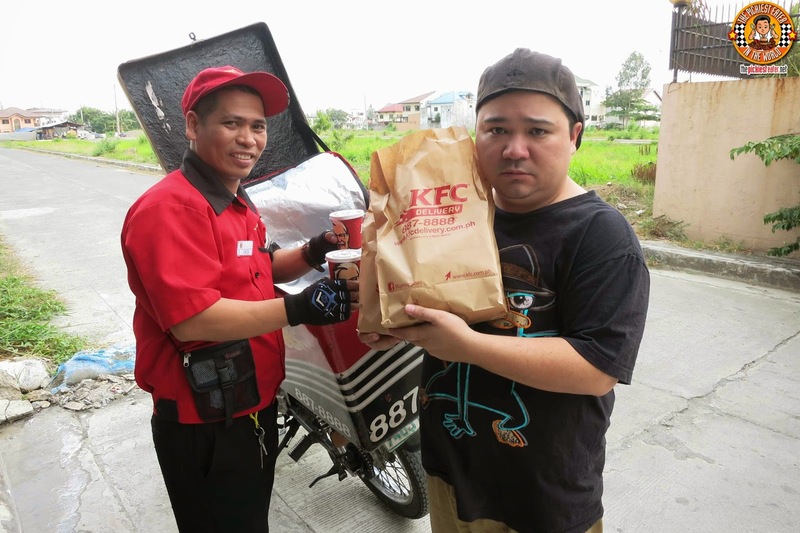 After the Double Down and the Junior Double Down were delivered to my home for what could possibly be the very last time, I asked Manong Driver if the news was indeed true... Maybe this was just some horrible nightmare. I would wake up in the morning in a world where the existence of The Double Down was not in Jeopardy. Alas, Manong Driver could not offer me such news. 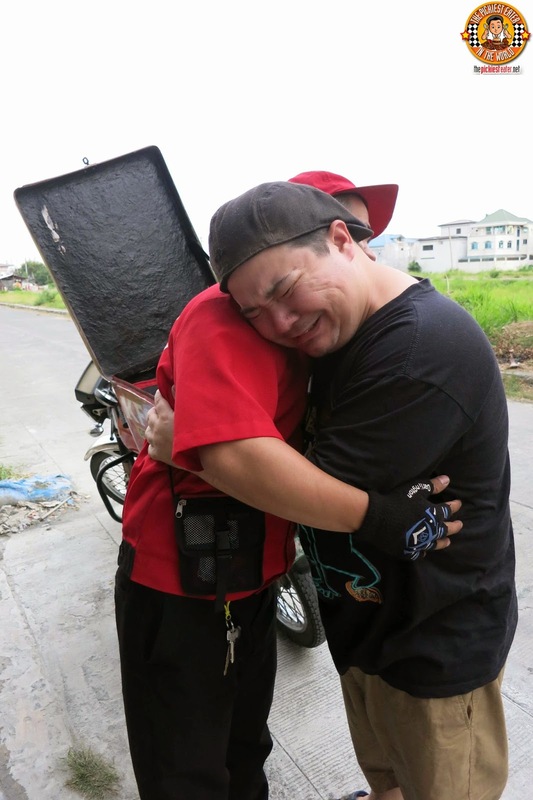 All he could do was offer me a consolitory hug, as he too seemed like he was losing an old friend. As painful as this parting of ways was, I felt that this isn't the way the Double Down would have wanted things to end. Why go out on a somber note, right? Why not celebrate the life of the Double Down while it is still with us, instead of focusing on its heartbreaking departure? you`ll be able to order it in God knows how long). 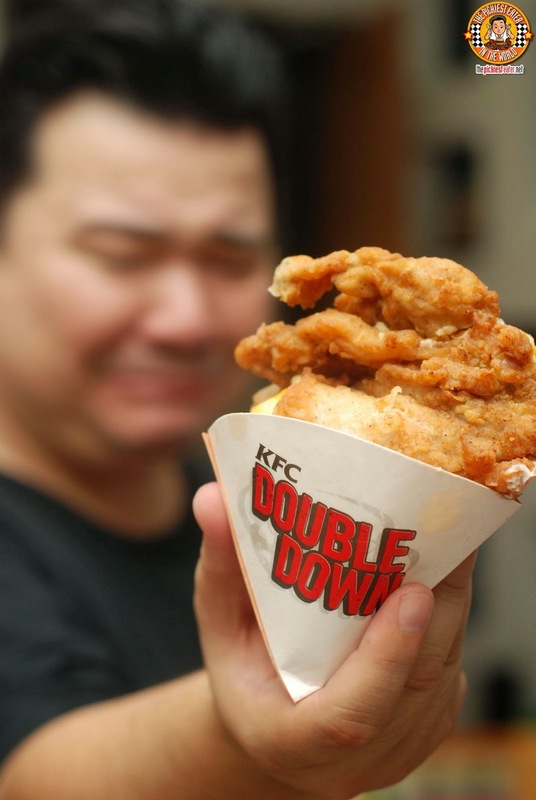 4) In the caption, share what you`ll miss most about the Double Down. KFC Philippines will be choosing the most creative entries, and awarding the winner with a "Double Down Party" for his/her barkada! 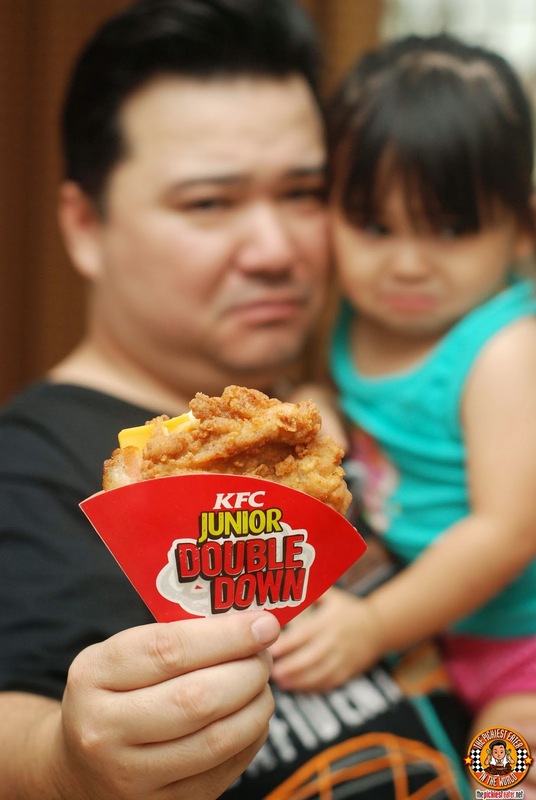 So if you want that Double Down party, I strongly suggest you get started on your entries right away, because the KFC Double Down and the Junior Double Down won`t be around for very much longer. 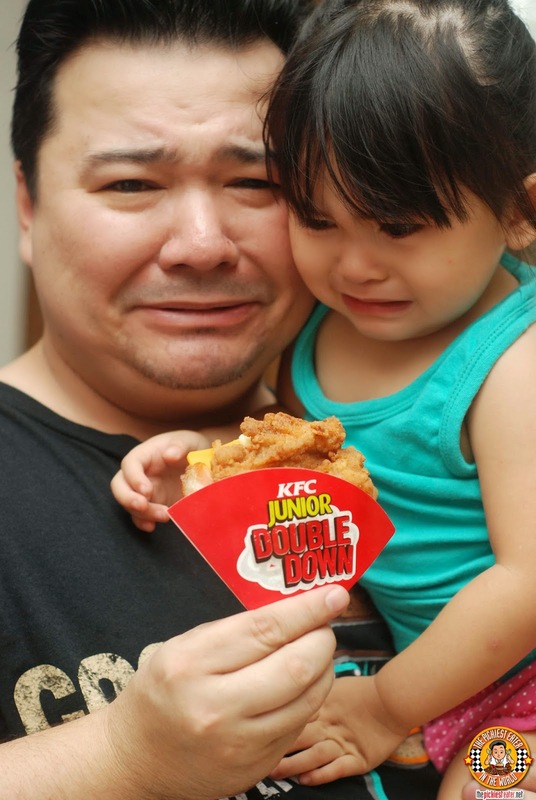 We`ll Miss You, Double Down and Double Down Junior!! wowwww rain is a natural!! pwede na rin mag artista like her daddy! haha! nag work shop pa yan! Hala... si rain.. pinaiyak!!! waaaa!!! sooo cuteeeee!!!! !